Sales copy is one of the trickiest genres of writing to master. After all, unless your goal is to sound like a 1980s infomercial (let’s hope it isn’t! ), you’ve got to subtly slip in your message without seeming too pushy. There’s nothing wrong with telling people that your product could help them if they’d only click here for more information, nor is there anything prideful in touting your product’s benefits — but you have to do it right. Sales is an art and not a science, so most of the time you’ll be feeling your way through the process. The finest line we walk when we write sales copy is between features and benefits. On one hand, a customer wants to know what your new stand mixer’s features are so he or she can compare different models side by side; on the other, there has to be some kind of emotional connection made or that potential customer is going to walk away once they’ve learned what they needed to know. The best solution is to mix in a little of both — and take a long walk in your customers’ shoes before you write your copy. As I already stated, you’ve got to lay out the features in plain English because no customer will dig to find that information. Often when I write sales copy, I find myself making a bulleted list near the end of the pitch that explains exactly what the product’s features are. If someone’s in a hurry, they can skip right to that section and we’ve not wasted a great deal of each other’s time. Of course, I don’t just plop down the features and wait for the customer to come back around. No way! I use the benefits of the product to catch their attention and draw them in to my message. Once I’ve helped customers to understand how my product can benefit them, that’s when I let them in on the deeper features — I let one support the other in a crazy sort of sales teepee made of benefits and features. Determining a product’s benefits is by far the most difficult part of this process. 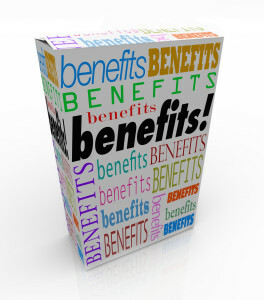 Benefits are more than just something a product can do, they’re a way of connecting to a demographic by demonstrating that you understand them and their needs. For example, if you’re selling that stand mixer to busy working families, one benefit might be how much faster and easier it makes meal preparation — after all, you don’t even have to supervise it while it kneads your bread dough. Any family with toddlers running around the kitchen banging on pots with spoons and generally wrecking up the place will appreciate the idea of not having to divide their attention for that limited amount of time. They might even begin to feel like your product was designed exactly for people like them — if it was, so much the better. 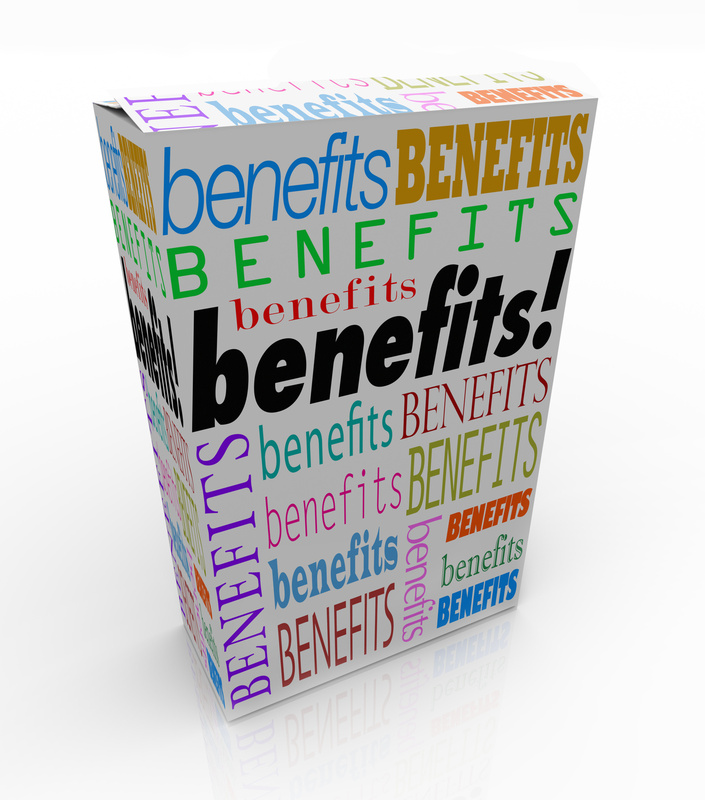 The one trick to using benefits as a sales tool is that you must understand your buyer and the problems they need to solve. The simple act of connecting to a potential customer in this way can create a strong emotional bond between buyer and brand, which is really what you wanted all along. Brand loyalty isn’t built on a list of features, it’s derived from an emotional attachment that customers have for companies they believe understand what they need most in their lives. Whether you’re toting automobiles or watermelons, there’s no substitution for genuine consideration for your customer and their lifestyles. Once you’ve got that nailed, you’ll understand exactly what your product does for your customers and can create copy that really connects.